Zedekiah son of Josiah, whom King Nebuchadrezzar of Babylon made king in the land of Judah, succeeded Coniah son of Jehoiakim. 2 But neither he nor his servants nor the people of the land listened to the words of the LORD that he spoke through the prophet Jeremiah. 3 King Zedekiah sent Jehucal son of Shelemiah and the priest Zephaniah son of Maaseiah to the prophet Jeremiah saying, “Please pray for us to the LORD our God.” 4 Now Jeremiah was still going in and out among the people, for he had not yet been put in prison. 5 Meanwhile, the army of Pharaoh had come out of Egypt; and when the Chaldeans who were besieging Jerusalem heard news of them, they withdrew from Jerusalem. 6 Then the word of the LORD came to the prophet Jeremiah: 7 Thus says the LORD, God of Israel: This is what the two of you shall say to the king of Judah, who sent you to me to inquire of me, Pharaoh’s army, which set out to help you, is going to return to its own land, to Egypt. 8 And the Chaldeans shall return and fight against this city; they shall take it and burn it with fire. 9 Thus says the LORD: Do not deceive yourselves, saying, “The Chaldeans will surely go away from us,” for they will not go away. 10 Even if you defeated the whole army of Chaldeans who are fighting against you, and there remained of them only wounded men in their tents, they would rise up and burn this city with fire. Yet here, as throughout the ministry of Jeremiah where he speaks the word of the LORD nobody listens. Even now, in this time where Babylon has already conquered the Kingdom of Judah once and place on the throne Zedekiah in the place of Jeconiah, has taken the elites of the land into exile and has demonstrated that the words of so many of the other voices that contradicted Jeremiah’s voice were false, still nobody wants to listen to this inconvenient prophet. Yet, in this chapter here and in the next section we see in Zedekiah an acceptance of Jeremiah’s role if not his words. Zedekiah sends to Jeremiah for him to once again pray to the LORD our God (again echoing the language of the Shema) but we have heard again that Jeremiah is no longer to pray for this people. The life of the king and the prophet and the people are also caught up in the geo-political events of the day and so as the great empire to the north (Babylon) hears of the movement of the armies of the empire to the south (Egypt) they move to engage the armies of Pharaoh. Much of the policies in this interim time between the first and second invasion of the armies of Chaldea (the forces of the Babylonian empire) have involved political maneuvering to place the Judean people in alliance with the Egyptians. These alliances will fail and Judea will be left alone to face the wrath of Babylon, but in Jeremiah’s view Judah has a more important enemy, the LORD their God. Jeremiah again prophesies what he has prophesied for years, there is no escape from the armies of Babylon, that even if their entire army was destroyed leaving only the wounded that would be enough for them to carry out their function in destroying Jerusalem. 11 Now when the Chaldean army had withdrawn from Jerusalem at the approach of Pharaoh’s army, 12 Jeremiah set out from Jerusalem to go to the land of Benjamin to receive his share of property among the people there. 13 When he reached the Benjamin Gate, a sentinel there named Irijah son of Shelemiah son of Hananiah arrested the prophet Jeremiah saying, “You are deserting to the Chaldeans.” 14 And Jeremiah said, “That is a lie; I am not deserting to the Chaldeans.” But Irijah would not listen to him, and arrested Jeremiah and brought him to the officials. 15 The officials were enraged at Jeremiah, and they beat him and imprisoned him in the house of the secretary Jonathan, for it had been made a prison. 16 Thus Jeremiah was put in the cistern house, in the cells, and remained there many days. 17 Then King Zedekiah sent for him, and received him. The king questioned him secretly in his house, and said, “Is there any word from the LORD?” Jeremiah said, “There is!” Then he said, “You shall be handed over to the king of Babylon.” 18 Jeremiah also said to King Zedekiah, “What wrong have I done to you or your servants or this people, that you have put me in prison? 19 Where are your prophets who prophesied to you, saying, ‘The king of Babylon will not come against you and against this land’? 20 Now please hear me, my lord king: be good enough to listen to my plea, and do not send me back to the house of the secretary Jonathan to die there.” 21 So King Zedekiah gave orders, and they committed Jeremiah to the court of the guard; and a loaf of bread was given him daily from the bakers’ street, until all the bread of the city was gone. So Jeremiah remained in the court of the guard. 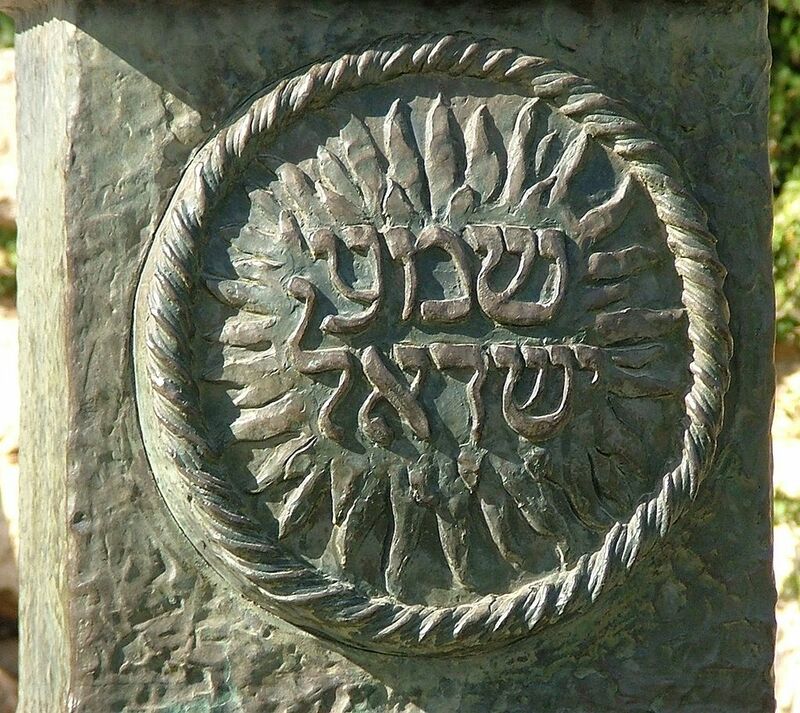 Jeremiah’s words have not made him popular with the remaining leaders in Jerusalem, so when he sets out from Jerusalem during this break in the siege by the movement of the Chaldean army he is arrested and placed in a makeshift prison set up at the house of Jonathan the secretary. 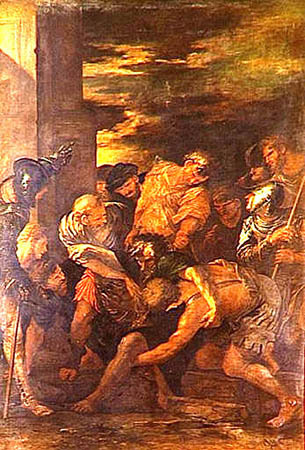 Jeremiah is beaten, imprisoned and in Jeremiah’s eyes left for dead. Surprisingly, it is King Zedekiah who sends for him in secret (and this probably drew the ire of many of the officials who were enraged at Jeremiah and had him beaten and imprisoned). Zedekiah, son of Josiah the faithful king, once again seems to respect the role of the prophet Jeremiah and so asks again for a word from the LORD. Jeremiah answers again, probably not with the words the king wants to hear but with a message that is probably not surprising to the king. Unlike the other officials the king is not enraged by these words, perhaps even accepts the inevitability of them. Then surprisingly we hear the plea of Jeremiah, making his case that he is not a traitor or a liar, but rather the very prophets who spoke the words the officials wanted to hear have spoken lies and Jeremiah pleads to be rescued from his current situation in the house of Jonathan the secretary. Jeremiah’s plea is heard and the king places him in the court of the guard (where Jeremiah 32 and 33 take place) which is apparently a more hospitable imprisonment where Jeremiah receives regular food until famine and the lack of food from the siege overtake the city. Even if the king cannot change the course of the city and the kingdom’s eventual destruction by Babylon, and even if he is unwilling (or perhaps unable-Zedekiah does not occupy the typical strong position we often imagine with kings) to surrender to Babylon, at least he is able to provide some protection for the prophet Jeremiah. This entry was posted in Jeremiah and tagged Jeremiah, Jeremiah 37, King Zedekiah, Shema. Bookmark the permalink.